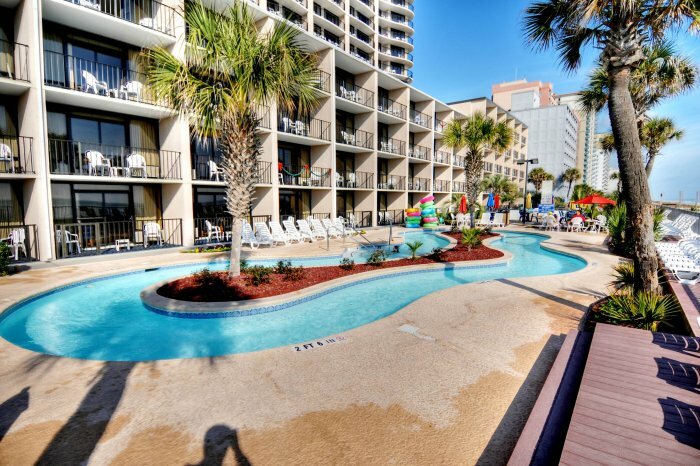 Make Compass Cove your next vacation condo destination! 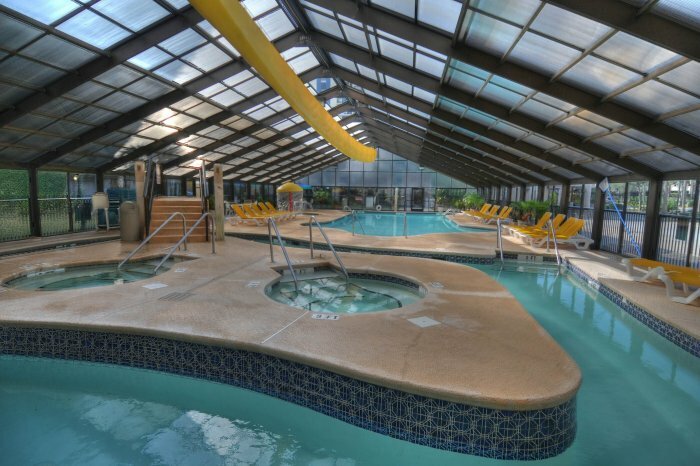 With an indoor pool, outdoor pool, indoor & outdoor Jacuzzi, lazy river, and kiddie pool, what more could you need? 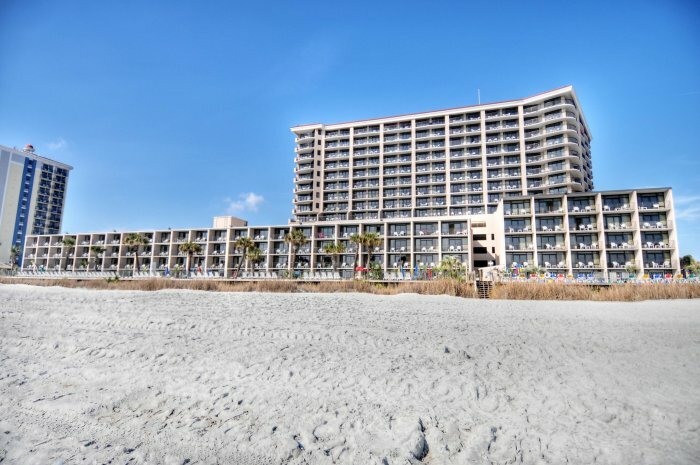 This resort is right on the beach, so you're just steps away from oceanfront sun, fun, and sand. Why vacation at any other city when you could relax on the beach in the morning and enjoy great dining and attractions in the afternoon! 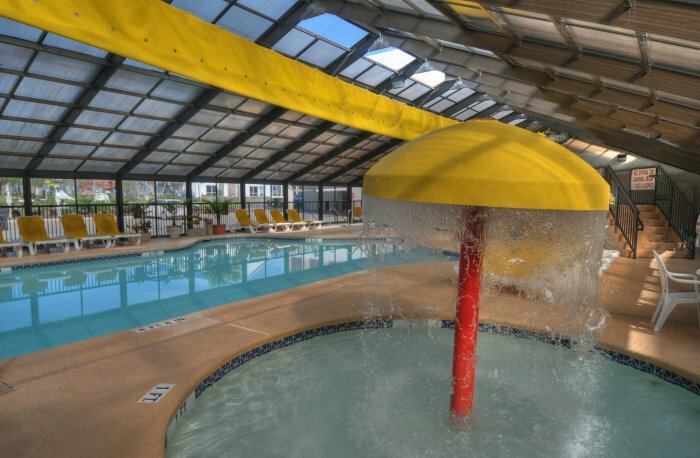 Nearby attractions include Market Common, the Grand Strand's newest upscale shopping complex, Myrtle Beach State Park, and the Burroughs & Chapin Art Museum. 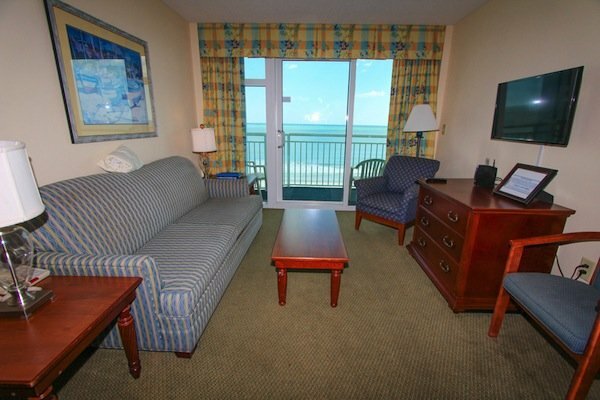 And each room at Compass Cove has a fully equipped kitchen and oceanfront balcony. 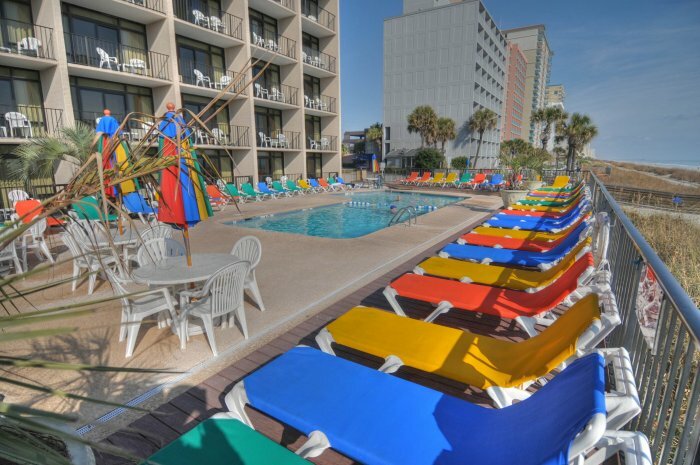 Stay at Compass Cove for your next oceanfront vacation! With 1 and 3 bedroom oceanfront units, Compass Cove's breathtaking views reassures vacationers that they have indeed made the right choice. Marvel at the miles of white sandy beaches as your watch or even participate in parasailing or beach combing. 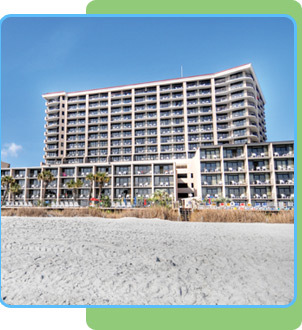 So discover Compass Cove -- your next Myrtle Beach condo rental awaits.